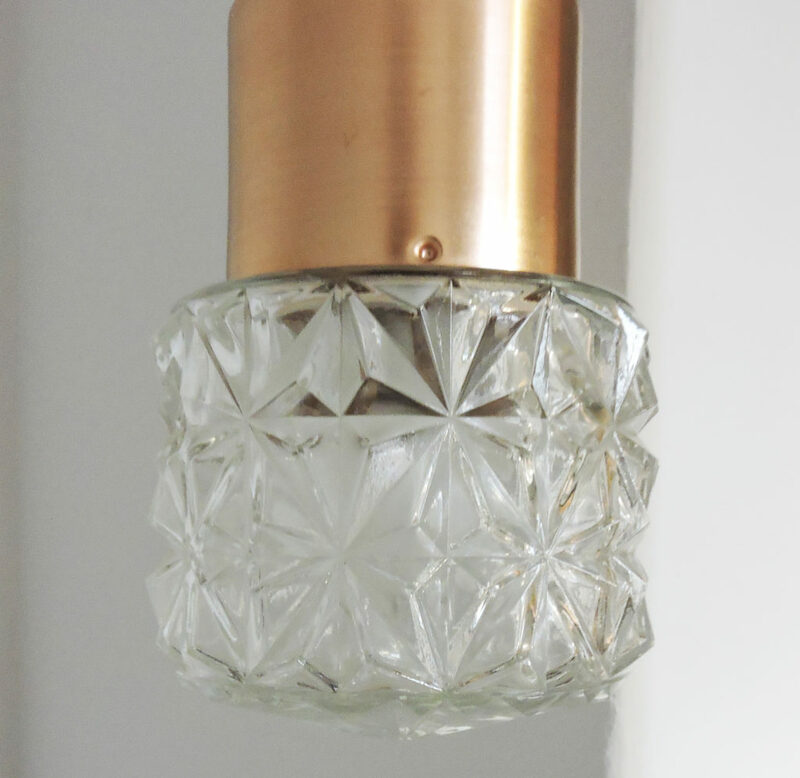 A 1970s glass and copper pendant light. 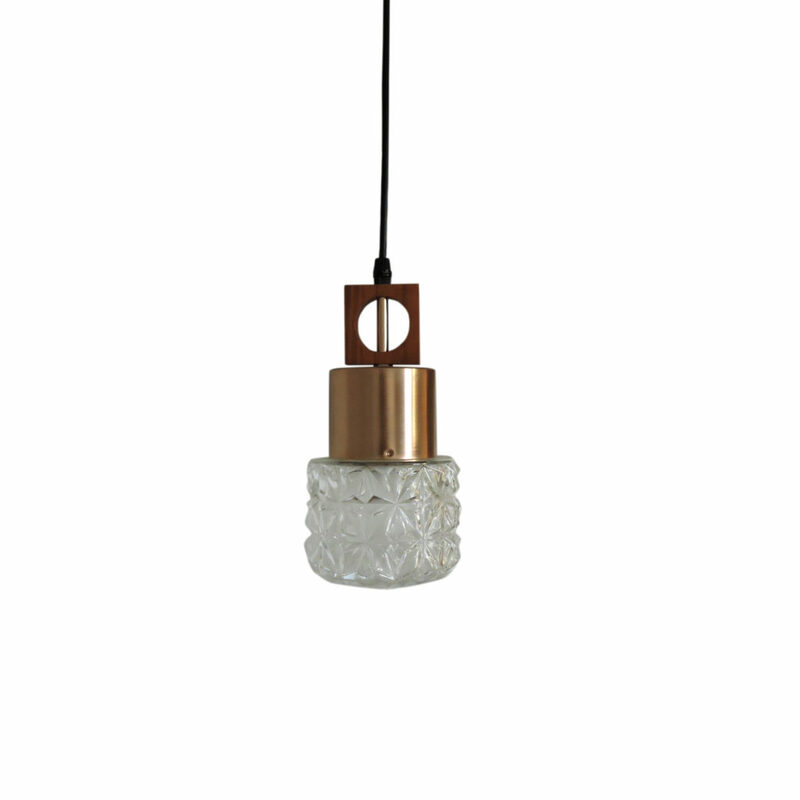 The light hangs from a black wire and features a wooden square shape at the top. A professional electrician has rewired this piece to be in working order. 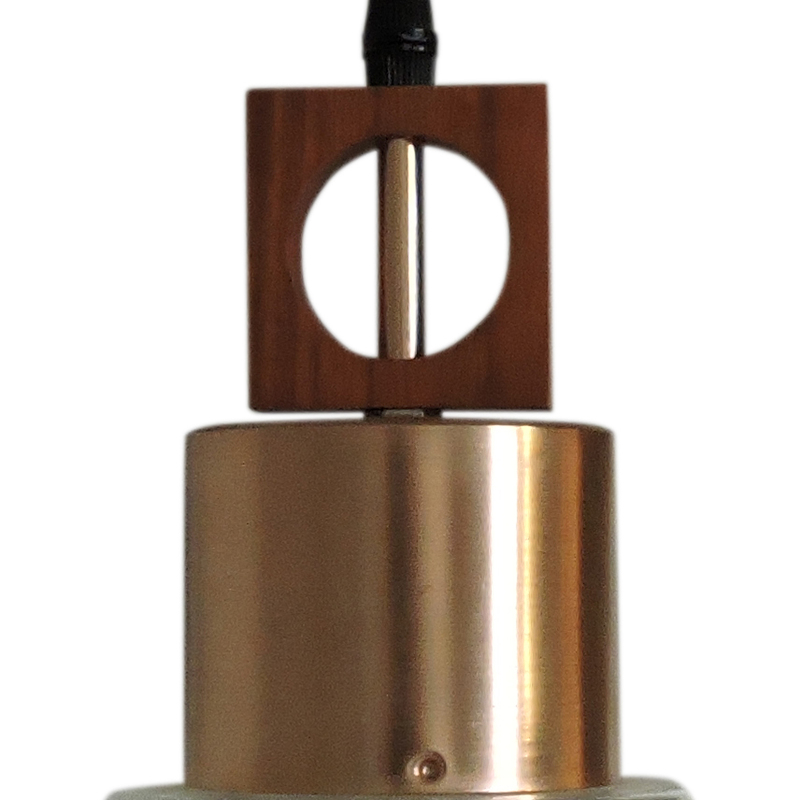 Plug type – UK Plug (up to 250V). This set of 3 teak nesting tables was manufactured by Nathan.